Athlete`s diarrhea is a condition experienced by athletes before, during, or after an exercise session or a competition. Being a major concern among athletes and gym-goers especially the athletes who travel to compete in sports events, athlete`s diarrhea can negatively impact athletic performance by causing electrolytes imbalances, sleep disturbances, and dehydration. In fact, AD is an athletic performance saboteur. Some may refer to AD as “exercise – induced diarrhea”. Approach to diarrhea in athletes is somehow different than that of non-athletic people. - Pre – competition anxiety. - Diet-related: Sugar-free gum, mints, sweet cherries, prunes, and high fiber foods. - Exacerbated IBS (Irritable Bowel Syndrome). - Carbohydrate malabsorption (lactulose, fructose, and sorbitol). Idiopathic athletic diarrhea (IAD) is a condition described for the first time by Abazar Habibinia MD, a sports nutrition specialist. Approximately 25 – 30% of athletes and gym-goers particularly endurance athletes experience diarrhea. IAD is especially common among runners, swimmers, cyclists, and triathletes. Since it is frequent among runners, it is sometimes called “runner`s diarrhea”. Interestingly, the incidence of IAD is slightly higher in females than males. The athlete is medically healthy. Diarrhea develops during or immediately after an exercise session or a competition, and it never occurs before exercise. Diarrhea subsides within 24 – 48 hours after cessation of exercise or training. The athlete has experienced diarrhea for more than three occasions. Para-doping and traveler`s diarrhea have been ruled out. Mild transient ischemia of the intestines. Overproduction of VIP (vasoactive intestinal peptide). During exercise or a competition, there is a redistribution of cardiac output from the gastrointestinal tract to the skeletal muscles. In other words, there is a physiological shift of blood flow to the working muscles, leading to about 20% reduction of blood flow in the gastrointestinal tract. This transient reduction of blood flow along with hormones – induced splanchnic vasoconstriction causes intestinal ischemia, which is mild and transient, leading to soft stools and mild diarrhea. 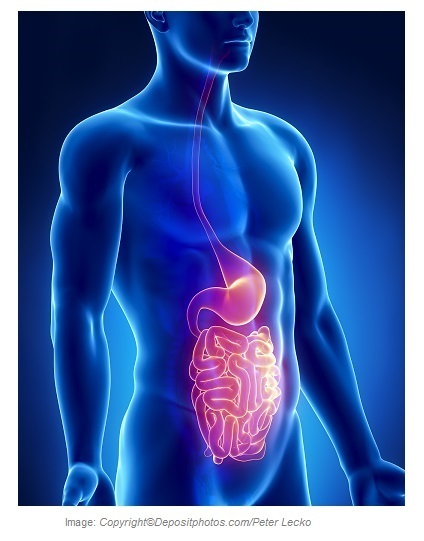 Vasoactive intestinal peptide (VIP) is a hormone ubiquitously present in the central nervous system and GI tract. It is released by the pancreas and small intestine. During exercise, some people produce more VIP for unknown reasons. This hormone increases motility of the GI tract, stimulates secretion of water and electrolytes especially chloride and bicarbonate into the GI tract, and causes smooth muscle contraction resulting in decreased circulation of the intestine. Motilin is another hormone released by the upper part of the small intestine. Also known as “housekeeper of the gut”, motilin increases motility of the GI tract. Exercise increases secretion of motilin. Increased parasympathetic activity during exercise might also cause diarrhea. 4) Pre – competition anxiety. Continues for more than 48 hours after exercise or competition. Associated with nausea and vomiting. Associated with muscle aching and soreness. Fructose (in quantities surpassing the GI ability to absorb): Apple juice, pear juice, grapes, honey, dates, figs, and flavored soft drinks. Avoid eating foods or drinking beverages purchased from street vendors or other establishments with poor hygienic conditions. Avoid eating raw or undercooked meats and seafood. Avoid having raw fruits and vegetables unless the traveler peels them. Water: at least 2 – 3 liters a day. Diarrhea dehydrates the body. Fruits high in pectin: apricots, pears, apples, guavas, quince, plums, gooseberries, and citrus fruits. Vegetables high in pectin: carrots, and potatoes. Foods high in tannins: blueberries, loganberry, chockberry, cranberry, grapes, persimmon, pomegranate, quince, strawberries, avocado, eggplant, and parsnip. Tannins have astringent, antibacterial, and anti-diarrheal activities. Dextrose: mix 30 grams of dextrose with a liter of water and keep sipping that throughout your exercise. It helps decrease IAD. Ribose: 5 grams about 30 minutes before exercise or competition and another 5 grams throughout your exercise session. You may increase the dose slowly until you achieve 20 grams a day. Carbo powder: 20 – 30 grams a day. Known also as Locust Bean Gum, carbo powder is derived from the seeds of carbo tree and contains tannins that have astringent effect and are useful in diarrhea. Arginine: 3 – 5 grams about 30 minutes before exercise. This amino acid increase production of nitric oxide (NO), which is a potent vasodilator and could improve blood circulation of the GI tract. BCAA (branched – chained amino acid): 5 grams about 30 – 60 minutes before exercise and another 3 – 5 grams during exercise. BCAA helps stabilize blood sugar level during exercise, which may reduce risk of IAD. Ginger root: 500 – 1500 mg a day. The active ingredients in ginger are volatile oils, zingiberene, bisabolene, shogoals, and gingerols. Ginger aids digestion, reduces irritation to the intestinal walls, and has anti-vomiting and anti-nausea activities. French Maritime Pine Bark Extract: 200 – 300 mg a day. It is a powerful flavonoid that improves blood circulation and may help with intestinal ischemia. Ginkgo Biloba: 120 – 240 mg a day. It may help with blood circulation of the GI tract. Probiotics: a product with 5 – 10 billion organisms per serving. A full spectrum Digestive Enzyme. Berberine: 500 – 1000 mg a day. It is an alkaloid found in plants such as barberry, goldenseal, Oregon grape, tree turmeric, and goldthread. Berberine helps with infectious diarrhea. French Maritime Pine Bark Extract: 200 – 300 mg a day. It is a powerful anti-inflammatory flavonoid. Grape Seed Extract: 100 – 200 mg a day. Glutamine: 3000 – 5000 mg a day. Glutamine is a restorative amino acid that is used by the GI tract for fuel and repair. Bismuth Subsalicylate: 500 – 1000 mg every 6 hours. Bismuth has anti-bacterial and anti-diarrheal activities against traveler`s diarrhea. Caution:Bismuth subsalicylate is for preventive purpose only in Traveler`s Diarrhea, and not in any other infectious gastroenteritis. It should not be taken by people who are pregnant or allergic to aspirin and by people taking anticoagulants, probenecid, or methotrexate. Lactase: as instructed on the label. Lactase is an enzyme that breaks down lactose (the sugar in milk) and is helpful in people with lactose intolerance.